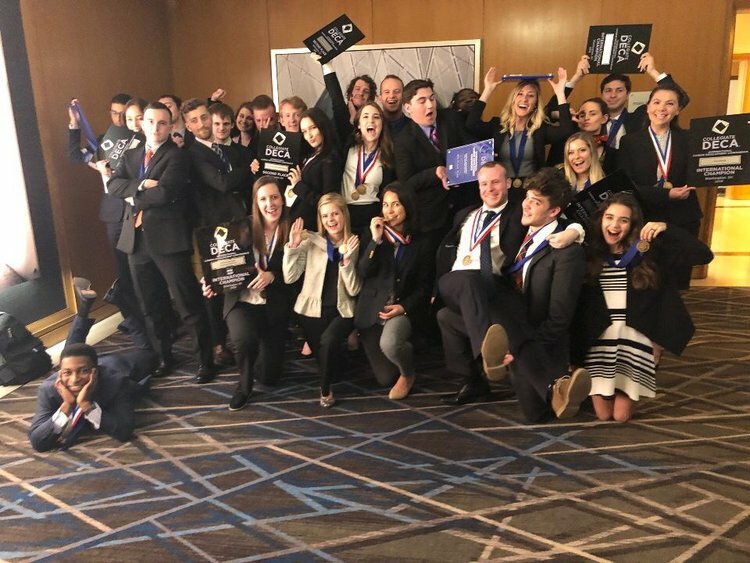 Over the past few days (4/10/18 - 4/15/18), Belmont's DECA Chapter has been competing in many entrepreneurial events in Washington, DC in the Collegiate DECA International Career Development Conference! ﻿Let's take a recap of the competition! We all got to the airport at 6:30 PM on Tuesday, April 10th, only to find out our flight was delayed until 10 PM! We spent lots of time doing homework in the airport cafeteria as well as eating pizza and drinking Starbucks. We arrived in DC at around midnight and piled up in our busses to go to the Crystal Marriott Hotel. Everyone got checked in and settled into the rooms around 1:00 AM to get some sleep before the conference began the next day! In the morning, we had a bit of free time to enjoy the city. We explored DC and some of the museums! The cherry blossoms we also blooming, and it was beautiful! After exploring, we all went to get ready for the opening ceremony. The president of DECA spoke and kicked things off. After the introduction, Johnny Earle, creator of Johnny Cupcakes, gave us his insight. He spoke about the importance of branding, word-of-mouth marketing, and following your passions having fun with what you do. Thursday, April 12, was spent going to lots and lots of orientations. We had orientations for either our Individual Case Studies, Team Case Studies, and the Entrepreneurship Challenge. We also spend some time networking with businesses such as Walgreens, Men's Wearhouse, and Marriott. Friday, April 13th was the day of our competitions! All Belmont DECA students participated in 2 events. Our individual or team events were in the morning, and the entrepreneurship challenge was in the afternoon. Not only this, but there were many seminars on things such as franchising and bootstrapping! The Entrepreneur challenge was super fun and fast-paced! All the Belmont teams had amazing business ideas, and even two teams were finalists in the challenge. Saturday, April 14th was when the finalists from all the challenges competed for the win, and Saturday night was the awards ceremony. Belmont took many many awards, including the cluster award in #1 in Entrepreneurship as a whole! Congratulations the everyone who competed. You all did such an amazing job. Also, thank you to all the amazing advisors of DECA and the DECA Officers for making it such an amazing and successful trip! 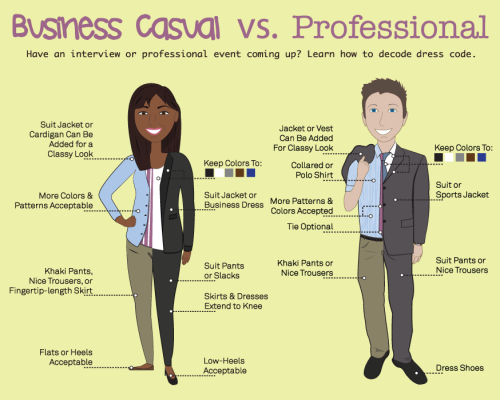 Many of us are going to go into careers that require a dress code. 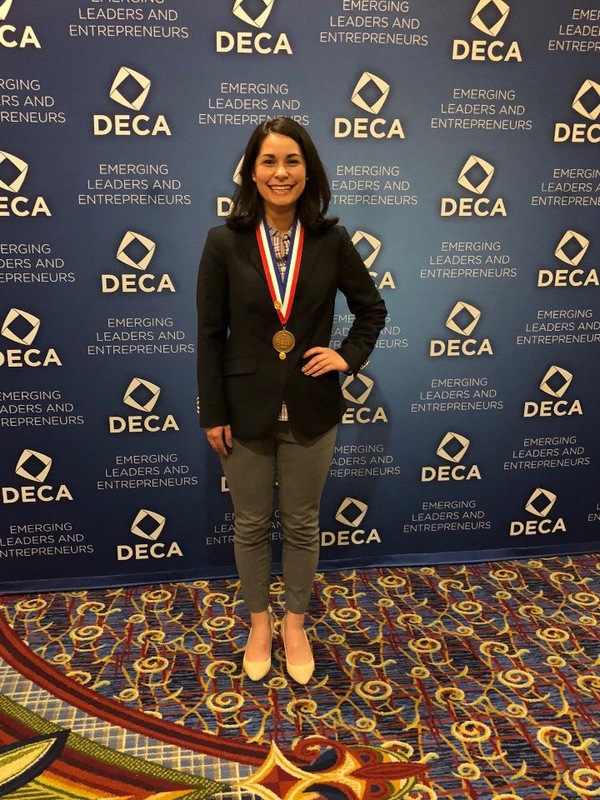 Whether it be for certain corporate events, networking, or even just the DECA ICDC trip, we will be required to wear business professional or business casual many times in our life. But how do you even dress business professional or business casual? 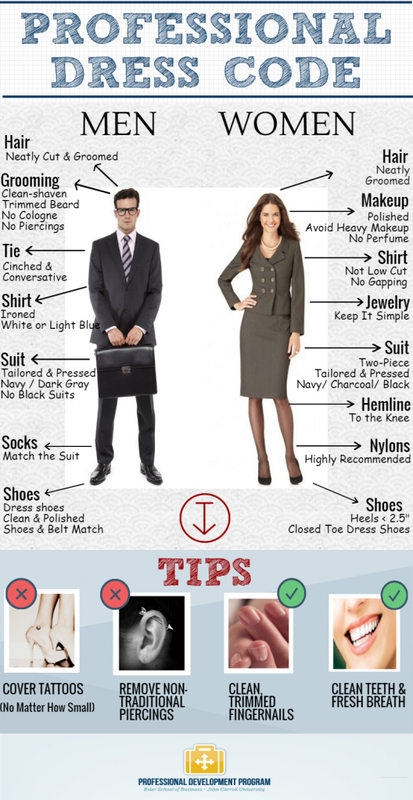 Here are some infographics of what to wear for either business casual or business professional. Sigma Nu Tau is an academic honors society dedicated to Entrepreneurs. On March 20th, Belmont University's own Sigma Nu Tau chapter held an induction ceremony. In order to be inducted, students must have at least a 3.5 GPA and must exhibit honor, integrity, and a strong entrepreneurial spirit. Congratulate these students for their persistence and excellence within the major of entrepreneurship! Best Co-Working Spaces in Nashville! Co-working spaces are a great way to connect with other like-minded people, share ideas, and most importantly get stuff done! Here are some of the best places in and around Belmont and Nashville to work on your business, or even just work on homework. Located in the Beaman of Belmont University, this co-working space is perfect for any and all of your entrepreneurial needs. The Hatchery gives students who are in the process of working on a business a quiet and collaborative space to work on refining their ideas and achieving their business goals. The Hatchery has lots of desk space, as well as whiteboards for you to jot your ideas on. On the wall lies the logos of Belmont Graduates who have gone off to create amazing businesses such as The Escape Game, Biscuit Love, and No Baked Cookie Dough (to name a few). Get to work on your business in the Hatchery! Bongo Java is a great student-friendly place to get some work done (as well as have a snack). Work away on your business plan, have interviews, or just simply finish up your entrepreneurship homework. If it's nice out, you can sit on the deck, drink a seasonal latte, and watch students pass by on the sidewalk. A little fresh air always gives me great ideas! You may even find your newest business partner sitting at a table next to you. On warm Spring days, the lawn is a perfect place to work on accomplishing things. While you work, you can listen to our people strum a guitar or watch them toss a frisbee. Just grab a blanket and some friends and get to work! Like I said, fresh air is a great way to get fresh ideas. Just be aware of the few times a year the lawn is closed for restoration. Just look at how beautiful and inspiring it is! Also: this is a great place to take Instagram photos. What other college has grass that is this perfect??? This is another great, quiet, and spacious place to work on homework and have some coffee. 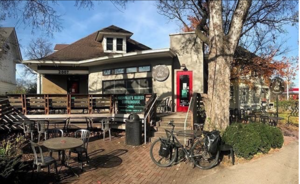 Frothy Monkey has many locations, but their 12s location is an easy walk from campus. The chill atmosphere will inspire you and the caffeine will allow you to work hard on your projects! And if you need a break from working you can grab a yummy pastry. There are lots of outlets so your electronics will not die as well! Located on 21st Ave, Work Belcourt provides fully furnished executives suites, conference room access, ultra-fast internet service, free parking, utilities, shared kitchen and coffee bar, and a business class printer!Work Belcourt is located on the second floor above Hopdoddy and next to Double Dogs. To tour the space, you can call Brittany Sears at 615-490-6723. Flexible monthly memberships starting at $275! "Join our diverse community of entrepreneurs and innovators, where the coffee & tea are free, the WiFi is fast, and you can park your bike or car, hassle-free. With our productive environment, low-cost, and great networking, your business is guaranteed to grow." 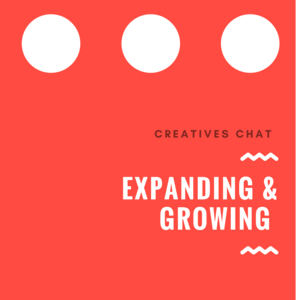 The Refinery has tons of resources to help your business grow, including and the memberships range from "drop-ins" at $99 a month all the way to full time working space for $400 a month. 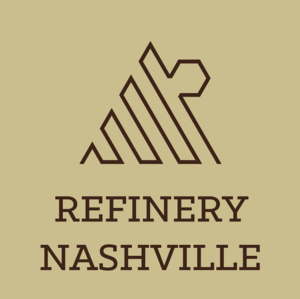 Bonus: The refinery also hosts classes that are put on by various organizations in the Nashville community! Learn something new AND work on your business here! "WeWork enables you to secure space with all the everyday amenities that spell success—dedicated Community Managers, spacious conference rooms, and impressive private offices—along with modern perks like month-to-month flexibility, passionate Community Managers, and special events. WeWork's locations in Nashville are music to your ears, taking your business to new heights." Last but certainly not least on our list of great co-working space was created by one of Belmont's Alumni! Fort Houston is a place for you to facilitate, grow, learn and work. We occupy 10,000 square feet in the Wedgewood-Houston neighborhood of Nashville, TN, complete with a full-scale wood shop, print shop, metal shop, 3D printers, darkroom, and miscellaneous work and desk space. Here’s how it works: You pay a monthly membership fee, and you get to make things in here. Oh, and taking a class or two can be fun, too, but you don’t have to be a member to do that! A basic membership includes access to all of our facilities and 20% off services and classes. A premium or team membership allows access to all shops and facilities plus your own personal or team desk. Click here for more membership details!" See what you can create today using these amazing co-working spaces in and around the Belmont and Nashville community. Best of luck with all of your business endeavors! As you may know, one of the Center for Entrepreneurship's biggest events is coming up. Get excited for our 2018 Business Plan Competition, in which students present in a Shark Tank style competition for thousands of dollars in cash prizes. 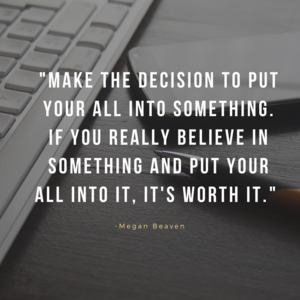 "College in Color is an online, life-saving lifestyle brand dedicated to creating products and media centered around generating thought and conversations on mental health, stress management, and overall student success. Our vision is to become the defined mental health focused social enterprise for a new generation beginning with the collegiate market, but eventually moving into churches, high schools, and healthcare industries." College in Color is bringing out the importance of mental health through the healing qualities of coloring and creativity. It encourages one to think about how they feel and know that they are not alone in the struggles they may be dealing with in college. Included in the books are access to many mental health hotlines to assist those who need it, as well as many coloring pages designed by college students to give a much-needed break from student stress. locations and cut their hair for a higher cost." Style12 connects people with the best hairdressers in the area. With this app, there is no need to waste time waiting in line for a hairdresser. Also, Style12 has a rating system for their hairdressers, so you will be able to know that your stylist is going to do a great job instead of randomly being assigned a hairdresser like you would in a regular barber shop. This is basically the Uber of haircuts and is 100% amazing. of client goals, the realization of personal vocation, and eventually, the support of employees." Suzanna will bring any of your artistic needs to life! Whether it be story-tellering, dream interpreting, vision building, or pun-making.. depending on what you need. In a very visual world Suzanna's business is a must for any business who wants to capture the attention of their target audience! "Our company Alate strives to empower women to feel more safe, confident and give them more freedom to enjoy and explore public space through discrete, fashionable, and easily accessible self defence products. Our product, the PepperPuff, combines pom pom keychains, which are currently a considerably in demand fashion accessory , and pepper spray, one of the most common self defense products among consumers, in order to create a convergence between the self-defense and fashion indutry. " The PepperPuff is a unique and discrete way for women to protect themselves. With quick and easy access to pepper spray on a key chain, rather than having to dig around in a purse to find pepper spray (which may take away much needed time). "PepperPuff product aims to provide simple, reliable, and affordable form of pepper spray self-protection that does not detract from an outfit, but rather adds to it." "PlaceMat, LLC is a local private chef service that provides unforgettable dining experiences in the comfort of your own home or AirBnb. PlaceMat comes to your home to create an authentic brunch or dinner in the place most comfortable for you and your gatherings. helps form strategic relationships throughout the community." and convenient. At PlaceMat, we make eating healthy easy." 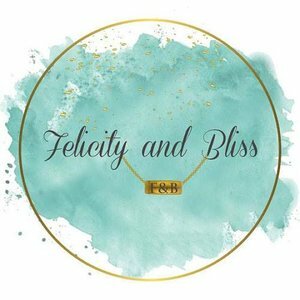 Felicity and Bliss is an amazing little minimalist jewelry store on Etsy. 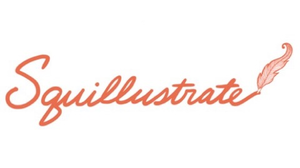 Their products are cute, customizable, and really perfect for any occasion. With almost 10,000 sales on Etsy since their opening in April 2016, Felicity and Bliss continues to grow. and even Alaska! We sell in every state. We are actually an online company that tailors our products to fit our customer’s needs and wants with precision. We have been in full operation since April of 2016 and have absolutely blown all of our expectations out of the water. We do everything that we can in order to handcraft the perfect gift for any of our customer’s needs. If you order from Felicity And Bliss, we promise that it will be nothing short of a 5 star experience and you will not be able to wait until you get the opportunity to give our jewelry as a gift again." "Through farming practices, art exploration, and community engagement we use our short-term housing service to provide a substance free environment that focuses on working towards personal health goals and diversifying skill set." themselves for varying reasons; difficulties with addictions, relocation/release from incarceration, stress management, and even self-discovery. 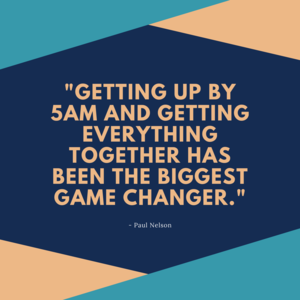 We have an initial conference with everyone we vet, this allows us to walk through their personal health goals and to give us an idea of how we can help make their time with us successful. If substance abuse is a factor, we offer drug testing and accountability checks. Every individual has a unique set of circumstances and a unique set of goals, we aim to help guide our residents through their unique set of circumstances. All this is done alongside garden responsibilities/training and an ongoing encouraged art project of their choice. In addition, a contracted specialist will help us plan our individualized approach to helping each resident. This will be a full time position we will be working to fill. "Octo Music Group LLC is an Event Production company based out of Nashville, TN. Founded by David Schultz and Tally Bevis, OCTO is a self-contained entity that creates, facilitates, and manages every aspect of throwing their underground dance parties and private events for high brow clients. OCTO is setting the new standard for local DIY shows by putting on some of the most extensive local productions that Nashville has ever seen! Wherever the shows take place, OCTO brings the experience to a whole new level. Keeping the shows up to date with new stages, popular entertainment, the best up and coming DJs and Producers, and exciting attractions, OCTO continues to impress its clientele by going above and beyond & holding each and every event to the utmost professional standards." Octo has already held many successful music events in Nashville, and plans to keep it up! together through music. With the Band is creating in inclusive culture where there are no boundaries. No boundaries between an artist and their fans, and no boundaries on how much content can be in one place. We are eliminating boundaries, so now you can go behind-the-scenes, With the Band." Who doesn't want to connect with their favorite bands on a more personal level? With the Band gives you this opportunity with a subscription-based business plan. This business launches in September, after the heavy concert season (May to October). Be on the look out to keep up to date With The Band! (also, With the Band won last year's Business Plan Competition! Come out to the competition to see all of these students present their businesses in front of a panel of judges. There will be an opportunity to speak with the competitors after the event. Come support your favorite and to learn what our amazing student entrepreneurs are up to! The competition will be held on March 14, 2018 from 4:00PM - 6:00PM in the 4th Floor Massey Boardroom. For any questions or concerns, please email us at belmontetp.edu!